About 7" off the ground. (at the #3 hole in my power rack). 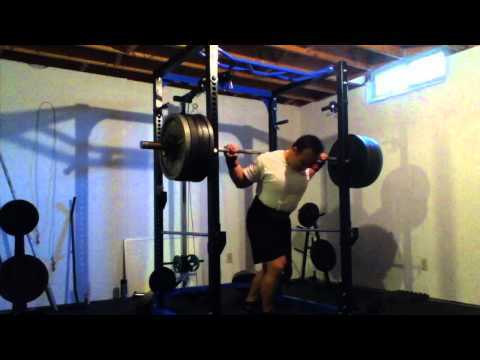 Cut the area below my left knee with the bar. Not surprised, the chrome is peeling off (this is not my B&R bar btw. I use another crappy Olympic bar for this). Draped towel around the center of the bar to prevent further damage.